700 coral islands stretching over 500 miles of the clearest water in the world. These are the Bahamas. Low lying and circled by sparkling rose-white, soft sand beaches they appear to melt into the warm turquoise sea. There is ‘something for everyone’ – a little of the high life and a lot of ‘laid-back’ life. Here you can watch dolphins play in the bow wave of your yacht and explore the third longest barrier reef in the world. You can hang out at a sophisticated private island (take a look at Indigo Island), take a cast at deep-sea fishing or bone fishing, play a hand of poker, sip sundowners at the Staniel Cay Yacht Club or just lie on the beach while your picnic is brought to you. With the islands lying close together this is truly the place to unwind, enjoy the beautiful sailing and get in touch with nature. Access is easy. From Florida it is a short hop down to Grand Bahama, Nassau and Paradise Island or Georgetown on Great Exuma. There are numerous other airstrips on other islands too. There are private charter and scheduled flights, or you can join your yacht in Florida and sail down. The Bahamas are fantastic for any kind of private yacht vacation or holiday – whether it is a superbly appointed motor yacht, a beautiful sailing yacht or spacious catamaran. NASSAU AND PARADISE ISLAND. This island pair maintains a distinct blend of international glamour and tropical ease. Think designer life-style (Lymore Cay), exclusive resorts, glitzy hotels, pastel beaches, opulent casinos, golf and duty free shopping. The dazzling Atlantis Resort on Paradise Island is the hotel of choice for many celebrities and the James Bond film; Casino Royale was filmed at the Ocean Club there. Seaplanes constantly whiz in and out of the narrow strip of water that separates the two islands and diamonds are on show! THE ABACOS. 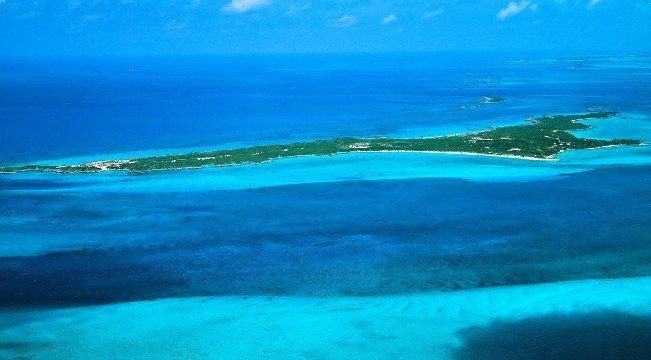 This group of islands and cays forms a natural paradise – a boomerang-shaped chain covering 650 square miles naturally protecting the ‘Sea of Abaco’ nestling within. The style is low-key profile for up-market people: Think Jackie Kennedy Onassis; think of lazing in a warm, lapping sea with a cool drink in your hand; think of calm water cruising; think swimming with dolphins or golf at Treasure Cay Golf Club. Ashore are cute little bars, lovely people and quaint New England architecture in the older settlements with some very cool new private developments too. THE EXUMAS. This is an archipelago of 365 cays and islands surrounded by one of the most spectacular underwater playgrounds in the world. Coral reefs and shipwrecks are home to an extraordinary rainbow of flora and fauna. Scuba diving here is second to none. Anglers too can find their heaven. ‘The Exuma flats’ are world-renowned for their challenging bonefishing and the 6,000 foot depths of the Exuma sound typically bring in record amounts of marlin and other spectacular sailfish. Many yachts have their own sport fishing boats too. For golfers there is the Four Seasons Golf Club at Emerald Bay on Great Exuma with a course designed by Greg Norman. Life is colorful ashore too with great local bars, plenty to do and a fun atmosphere. There is an excellent little International Airport at Georgetown on Great Exuma. THE ELEUTHERAS & THE OUT ISLANDS include – THE BERRY ISLANDS, CAT ISLAND, LONG ISLAND, BIMINI, SAN SALVADOR and RUM CAY. Discovered by Christopher Columbus and wonderfully unspoiled with many historical ruins, beautiful walks, deserted beaches, wild flowers and indigenous bird populations. They too are surrounded by abundant marine life.